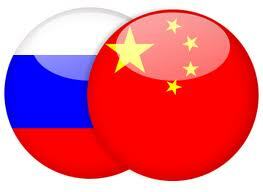 In September 2012 the Russian Far Eastern Pacific port Vladivostok hosted the annual APEC summit. The meeting coincided with a new billion dollar bridge being opened nearby, that along with other investment in the city was a statement that the Russian government, much like the US, are looking to Asia as the new economic centre of the world. Russian President Putin attended the summit before going onto meet President Hu and then on to a Shanghai Cooperation Organisation meeting, both meetings part of Russia’s efforts to build relations with China. In the past relations between the two countries have swung between closeness, just after the Chinese communists came to power in 1949; to near war in 1962 following border clashes, which came soon after the end of Stalinism in the USSR. Today relations are dominated by energy, this is unsurprising given Russia is the world’s biggest energy producer and China is the biggest user. A long delayed oil pipeline has recently been completed, coinciding with a Chinese announcement that it will allow payment in Renminbi rather than US dollar, carrying on the policy that started with China paying the sanction hit Iranians for oil in their own currency. The announcement did not gain a great deal of attention, but if the world’s biggest consumer of oil starts paying in a different currency, the ramifications could be enormous for the US dollar. In the other direction Chinese manufactured goods are becoming ever more popular in Russia, much like the rest of the world. But trade is not as easy as it looks, despite sharing a very long common border, for both countries, the boundary lies in a remote region far from their main population centres, therefore the infrastructure required to transport gas, oil and consumer goods is expensive and difficult to maintain. This is part of the reason a new direct oil pipeline has only recently opened, pumping 300,000 barrels a day, costing $25 billion. Chinese strength has concerned Moscow, as it has revived an old fear that its eastern lands could come under the control of other countries, the idea that millions of Chinese may settle in Siberia has been a concern of politicians for years, however the fears are misplaced, as the Government finds it difficult to get anyone to settle in the remote and frosty region, despite the richness of its natural resources. One area the two countries may see a conflict of interests is in Central Asia. The region which Russia views at its own backyard is seeing growing Chinese economic influence, the rich natural resources of the region have attracted Chinese investment, and they have been building roads and tunnels in Tajikistan, an oil pipeline to Kazakhstan, buying uranium from Uzbekistan and a flurry of other deals. As Chinese commercial relations develop, an interest in local politics will intensify. This will raise hackles in Moscow, but with Beijing having the financial firepower and desire to seek out resources from these countries; it will be interesting to see if Russia can counteract Chinese influence.